Nose: Light pleasant Peaty Smoke followed by hints of Leather contrasted by Toast with Butter and Honey. Dried Plums as well, maybe Orange Zests. Some American Oak , Vanilla and Malt coming through after a while. 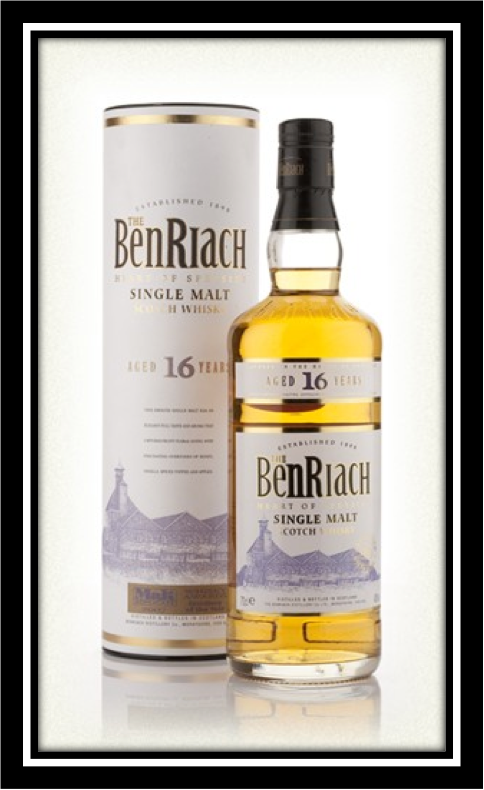 The Peaty Smoke really enhances the otherwise Speyside character of this malt. Taste: Nice Smoke combined with Vanilla, Oak and Spices. Well balanced. The bottling at 43% as always helps the delivery a great deal. Finish: Long and warming with subtle Smoke lingering on the palate. Some Sweet Toffee, Oak and White Pepper as well there. I added a couple of drops of water that brought out more Peat and some Apple Pie with Raisins on the nose and extended the Spices in the finish. I suggest you try this Single Malt both neat and with a couple of drops of water. However, I should issue a warning here. I bought a miniature bottle of this excellent Malt but I’m not sure you can still find this expression in the shops. Apparently it has been replaced by a less Peaty version, bottled at 40%. Another whisky altogether I suppose. What a shame! The whisky I tasted here was probably elaborated when the distillery was still owned by Chivas. This group closed the distillery down in 2002. The South African Brewery Intra Trading bought it in 2004. Apparently the new owners chose to refresh the product range.